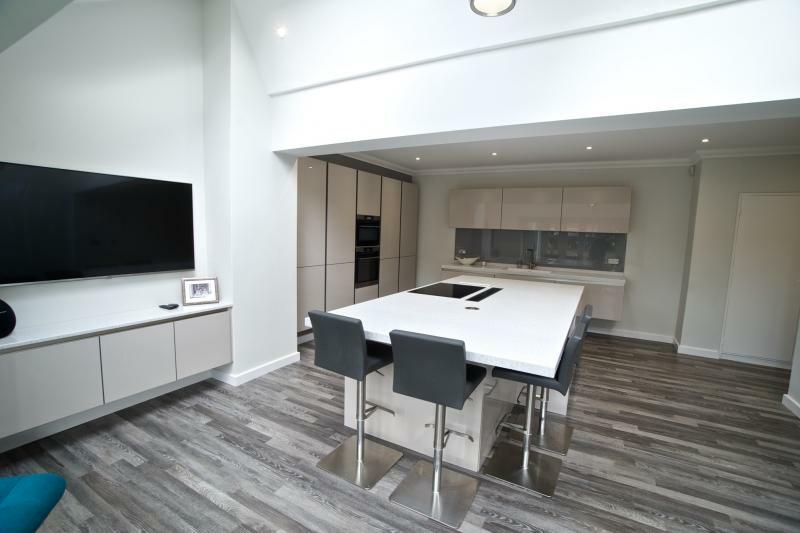 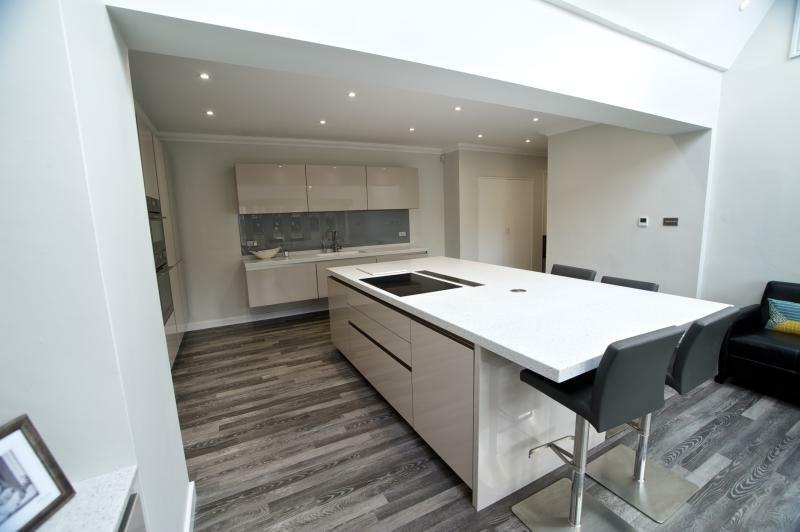 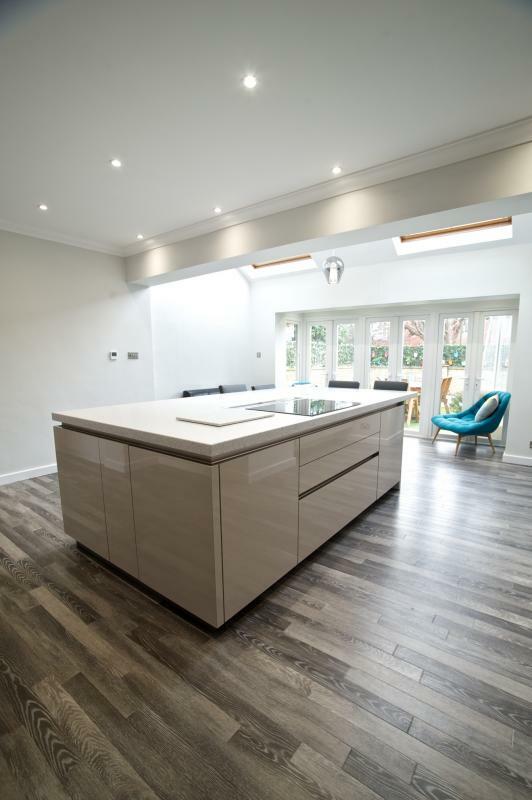 The kitchen is Keller synthetic gloss handleless in Loam colour with Corian Silver Birch worksurfaces and Corian Glacier White sink, the appliances are AEG and the hot tap is the relatively new to the market Hotspot Titanium. 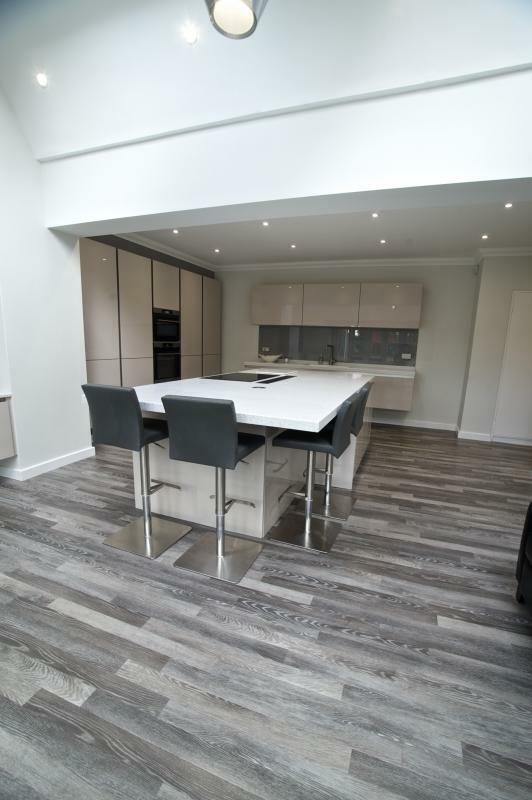 As mentioned the flooring is Karndean and the colour Limed Silk Oak. 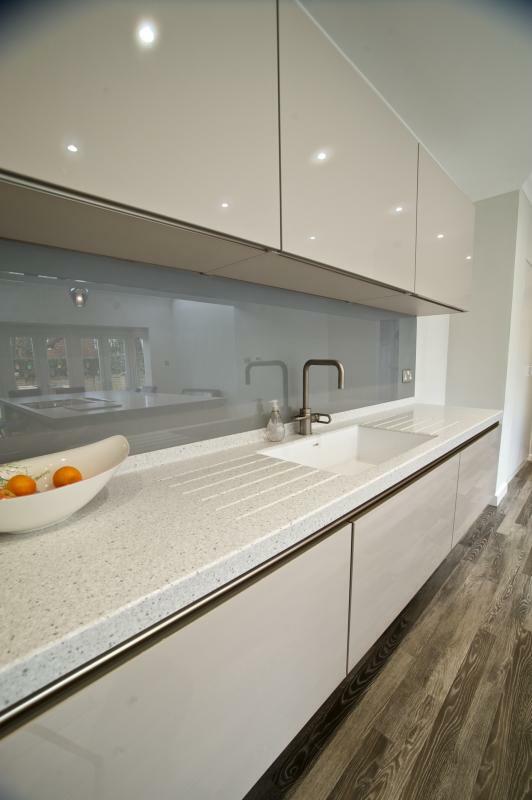 We like the feature of the tall housings projecting out by just half their true depth and also the sink and adjacent units being suspended. 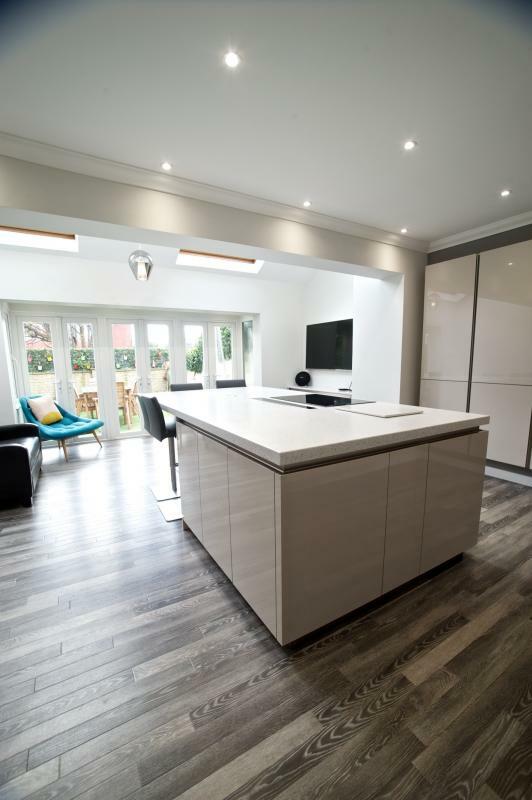 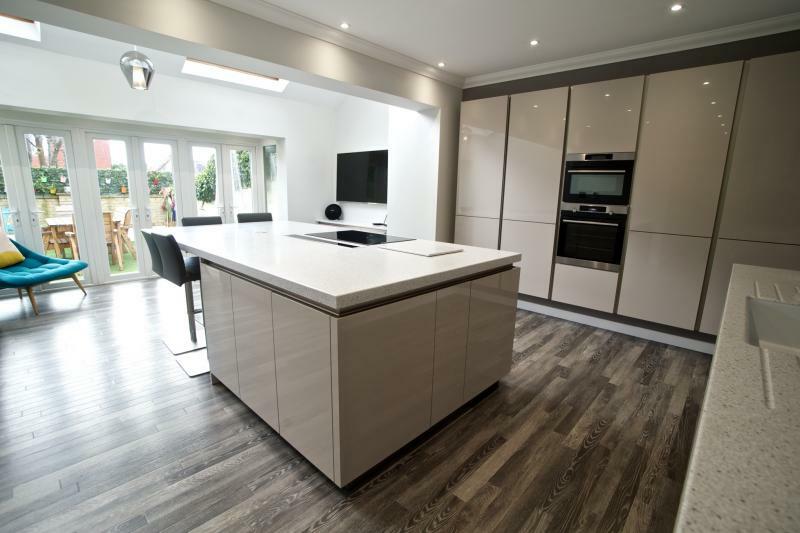 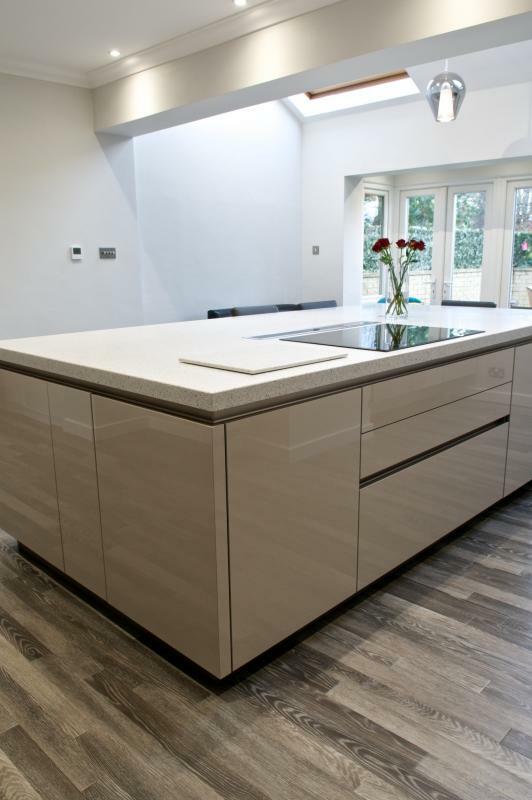 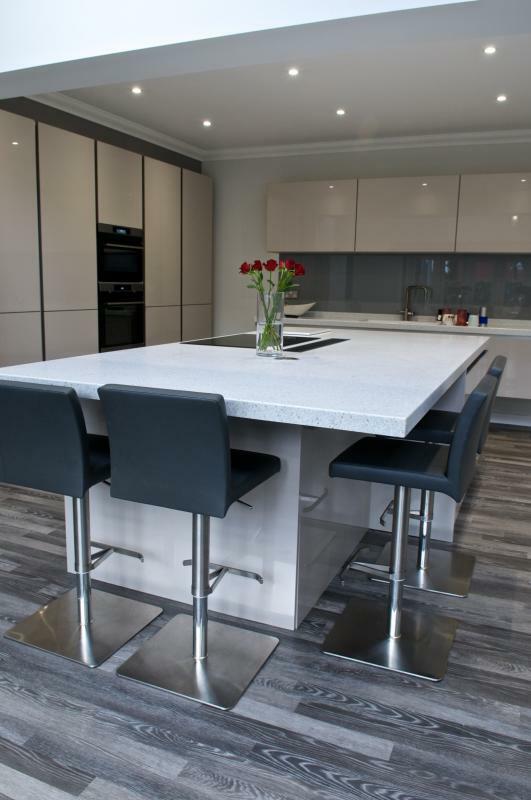 The island is a generous 2800mm long x 1500mm wide. 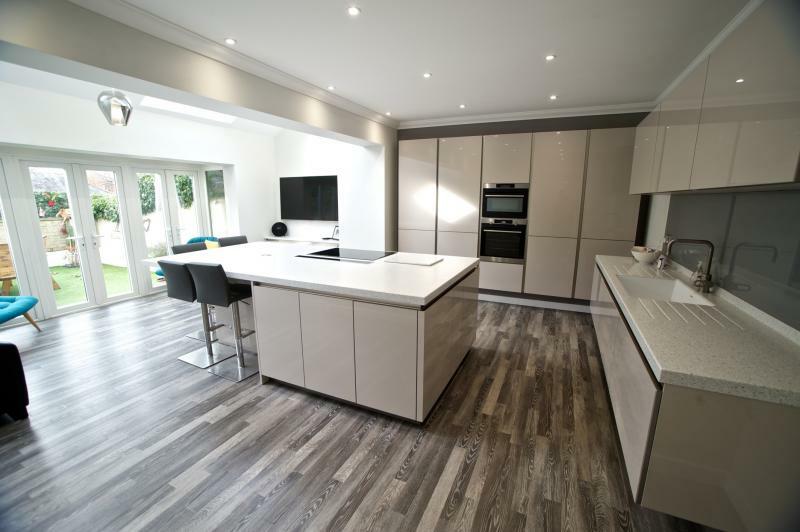 Please click on any image to enlarge and see our clients comments on our testimonials page and thanks for taking time to view our projects.